The Samsung J5 (2016) SM-J510F is the latest among the J5 (2016) upgrades over the years. When checking the specs we will get an idea how far it has been evolved through the years both aesthetically and hardware wise. But what if I say you can improve it's performance further, maybe by pushing it's limits, yes, it can be done by rooting this beast. Rooting will enable you to uninstall the unwanted bloatwares plus to install apps like "Greenify" which will help you to disable the unwanted apps from running in the background thereby saving a lot of resources. 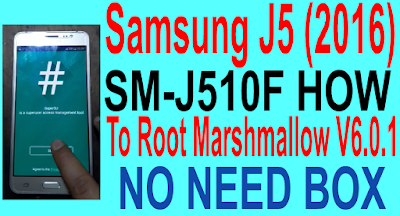 Kindly keep in mind that this method is compatible on Samsung J5 (2016) SM-J510F running on Android Nougat 7.0 firmware only. Please don't try this on any other version as it may brick it completely. Samsung J5 (2016) On Android V6.0.1 Root Required File. How To Root Samsung J5 (2016) Prime On Android Nougat 6.0.1. 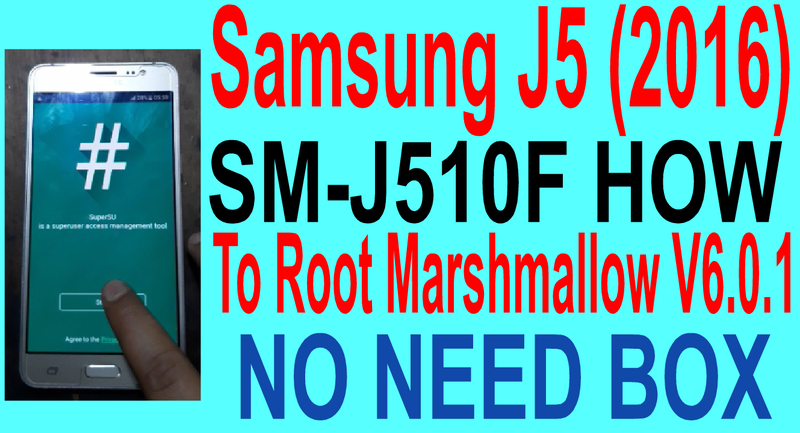 Samsung J5 (2016) On Android V6.0.1 Root Method.